Creating beautiful yet practical artwork has been the goal of Bear Creek Glass since being founded by Joseph Thompson in March 2004. In addition to sinks, Bear Creek Glass’ artisans create chandeliers, pendant lights, bowls, and vases. Custom commercial and residential projects are also available. 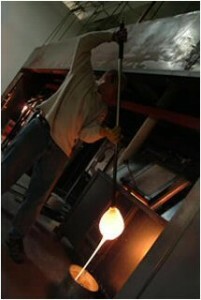 Bear Creek Glass has the most talented and inspiring functional glass artists in the industry. Joseph received a graduate degree in Materials Engineering at The Ohio State University where he studied the technical and physical properties of glass. 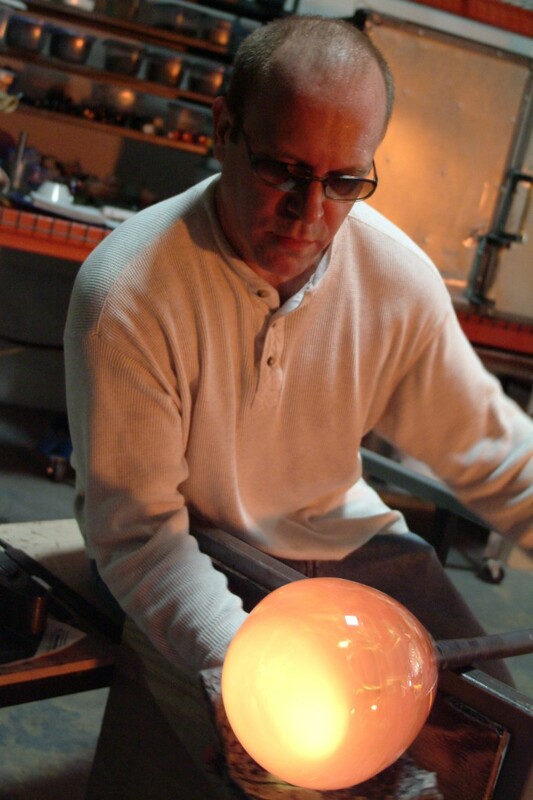 He then worked as an engineer and businessman for twenty years before taking a course at the world famous Pilchuck Glass School where he found his true calling as a glass artist. The transformation was profound and immediate. With help from his glass blowing mentor, Jim Shumate, he was able to combine his engineering and artistic sensibilities to produce functional art glass that has received critical acclaim and is enjoyed throughout the world. Thompson’s main focus is creating functional art that can be used and enjoyed. In 1972, Cal Breed was born to an artist and an engineer. This combination of the expressive and the critical laid the framework for a life coursed by grasping to bridge the seemingly dichotomous. After initially studying Marine Biology, Cal’s heart was burdened with the need to be expressive with his hands. Bowing to that burden, he began to study the arts which eventually led him to glassblowing. 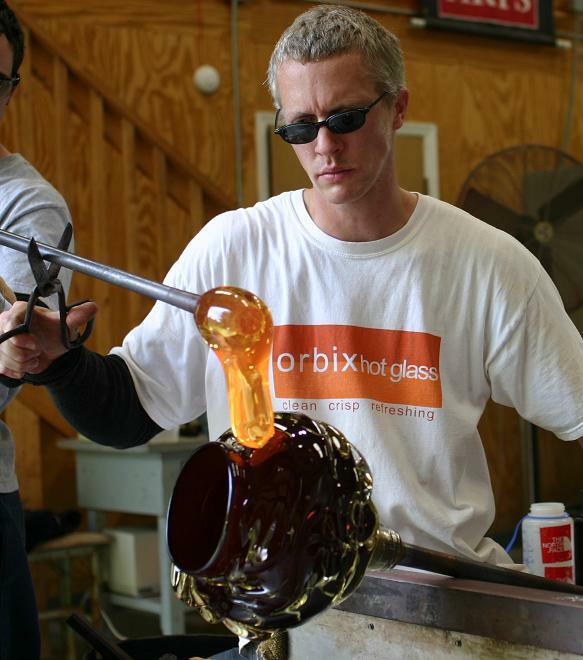 After years of study, Cal opened a private studio and gallery, Orbix Hot Glass, Today, Cal leads a team of glassblowers who hand-craft each piece with great attention to form, balance and color. The goal—to make honest, excellent work that someone would invite into their life. 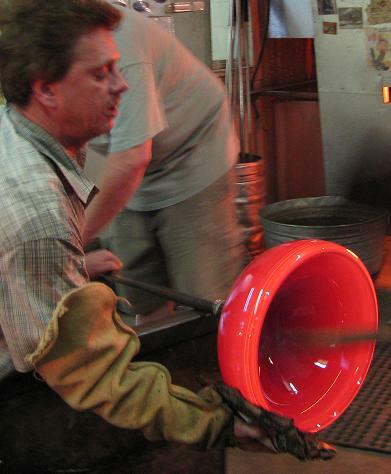 Jones trained at the Pilchuck Glass School and Pratt Fine Arts Center. Robert comes from a background in the traditional trades, infusing his art with the functional sensibilities and precision of a craftsman. Bear Creek Glass purchased Robert Jones Design in 2009. All Robert Jones sinks are blown by Bear Creek Glass artists.